Finding the perfect running shoes can be a task. With so many options of running shoes on the market, it is necessary to find the perfect combination of style, comfort and performance to get a shoe that fits you just right. As 2012 winds down, we would like to share with you a few of our favorite picks for every type of runner. The Pure Project line of shoes was designed to bring the lightweight experience to all types of runners. Aesthetically pleasing, this shoe is as functional as it looks and feels. The Pure Flow carries a new upper that includes a unique lacing system and midfoot band that provides superior support and fit for your feet. The Pure Flow is ideal for the runner with a neutral gate or those seeking a tiny bit of stability in their shoe. You certainly will run happy in this reliable lightweight training shoe from Brooks. Nike brings us their next installment in the Free series and a definite win for any “minimalist”. Hailed as a shoe that trains your foot, the Nike Free Run+ 3 has a barefoot feel allowing natural movement of your toes, a lightweight Phylite midsole for comfort, and a waffle patterned rubber outsole providing enhanced traction. 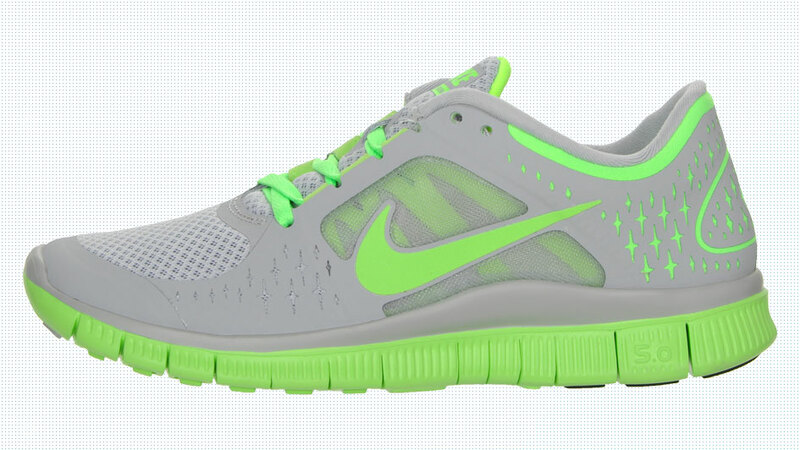 Overall the Nike Free makes for a comfortable and highly flexible shoe ready for training at the gym or casual outings. The Reebok RealFlex Transition only adds to Reebok’s tradition of delivering great and reliable workout shoes. This shoe is designed to enhance your workout as well as train the muscle groups in your feet through natural movement. Reebok’s Realflex technology fosters stability and movement through flexible nodes that are designed to make feet move and flex. ASICS offers an update to their running catalog with the next installment in the GEL Noosa series. The mesh upper provides ventilation and breathability. While its reduction in size offers a new lightweight feel, unmatched support and comfort for running the distance. High Performance is an understatement when it comes to the GEL Noosa Tri 7. Brooks has added another model in the long running Adrenaline GTS series. This shoe is a fan favorite amongst those seeking great support to help correct the over pronation issues that plague most runners. Brooks maintains the same personalized fit the upper has a much smoother and cleaner look to add style to the shoe. Built for the every day runner who wants the perfect combination of cushion and stability. Brooks continues the PureProject line, created with the lightweight runner in mind. The PureCadence gives runners who need a bit more stability the chance to experience the feel of a natural foot strike within a light, ventilated shoe. The PureCadence is for every day athletes who want a lightweight performance oriented shoe without giving up support. Nike continues the iconic Air Max line with this year’s Air Max+ 2012. The Air Max+ 2012 employs Hyperfuse technology for comfort and fit as well as a 360 Degree Max Air unit to produce superior comfort and support. If you are a fan of the Air Max line you wont be disappointed with this rendition. Nike has a knack for innovation and aesthetics, the Nike Lunarglide is one of those exploits. Composed of lightweight breathable material this shoe provides stability and support for long runs. 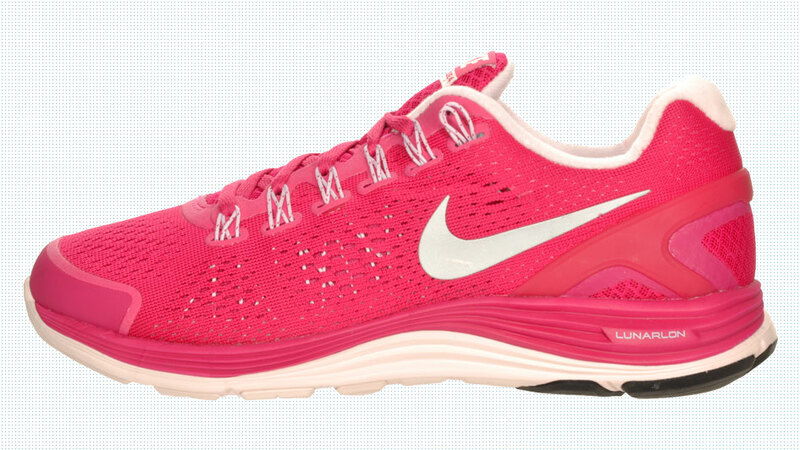 This pair of running shoes also includes Nike’s flywire technology for a secure fit and lunarlon cushioning for responsive wear and feel. New balance brings some heat into the “minamalist” movement with the Minimus 2. A ventilated and lightweight mesh upper as well as a soft flexible midsole and outsole provide a generous support platform for running. New Balance adds the comfort and freedom you crave from your workout shoe. Durable, comfortable and well ventilated the adidas Clima Cool Regulate delivers a flexible and lightweight shoe perfect to tackle the asphalt or gym. The Climacool vents offer ultimate breathability as well as coolness. Your feet will have a comfortable ride while enduring a multitude of surfaces, as the durable rubber outsole will outlast its competitors.